Lift chairs benefits the elderly as well as handicapped persons who need a bit of extra help standing up from a chair. 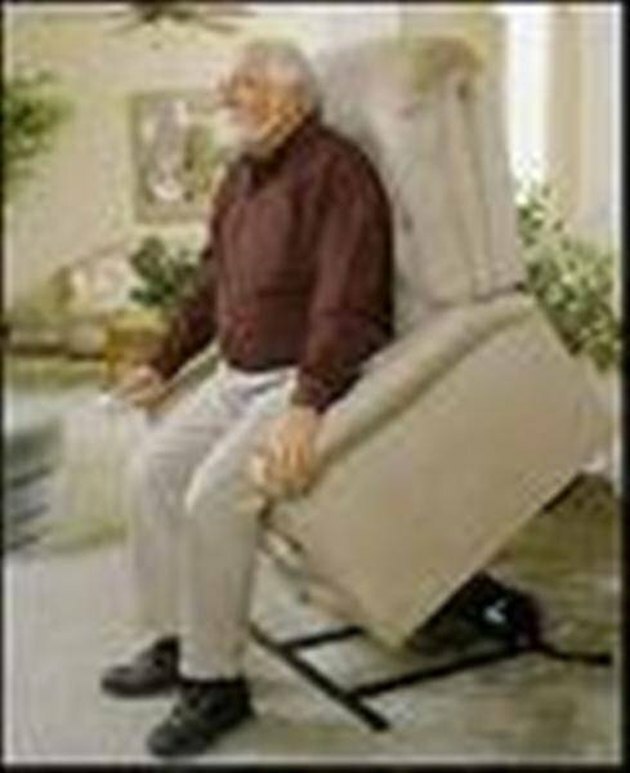 Creating your own lift chair can be a simple process if you purchase a power lifting cushion that you can add to any chair. This is a simple solution, but it may not be right for you. If you prefer to build your own chair, these simple instructions will tell you what you need to know. Choose the chair that you would like to place on the lift. Your chair should be comfortable and you can choose one you already have, or purchase a new one. Remove the feet or the legs from the chair, or disassemble the bottom part of a recliner or other upholstered chair. 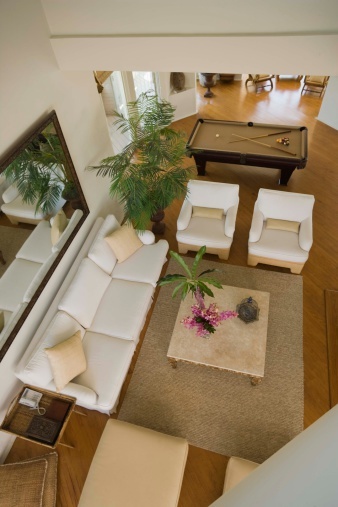 Recliners and standard upholstered chairs are typically made in sections, so cutting or removing the bottom portion should not be a problem. Cut a section of plywood to fit the new bottom of your chair exactly. Screw the plywood to the bottom of the chair. Attach metal brackets to the plywood that line up with the attachments on the electric chair lift mechanism. Attach the chair lift mechanism to the metal bracket on the plywood in accordance with the manufacturer's instructions. Attach the metal chair base to the lift mechanism according to the manufacturer's instructions. You may be able to locate a base with the correct dimensions for your chair, but if not, you can have one made at a local metal shop. You need a sturdy, well-balanced base with holes left at the top for attaching to the electric chair mechanism. It's a good idea to purchase the electric chair lift mechanism, then take it to your local metal shop and show them what you need. They can get more accurate dimensions from the part itself, than may be possible with written measurements. This way, you will know your parts fit together before you try to assemble your chair. Add batteries to your remote and to the battery pack for your chair lift. Battery backups are important, especially if you are totally dependent on the electric lift. You need to make sure the person can get up if the power goes out. Plug it in an outlet and enjoy your chair. How do I Convert a Recliner to a Power Lift Chair?